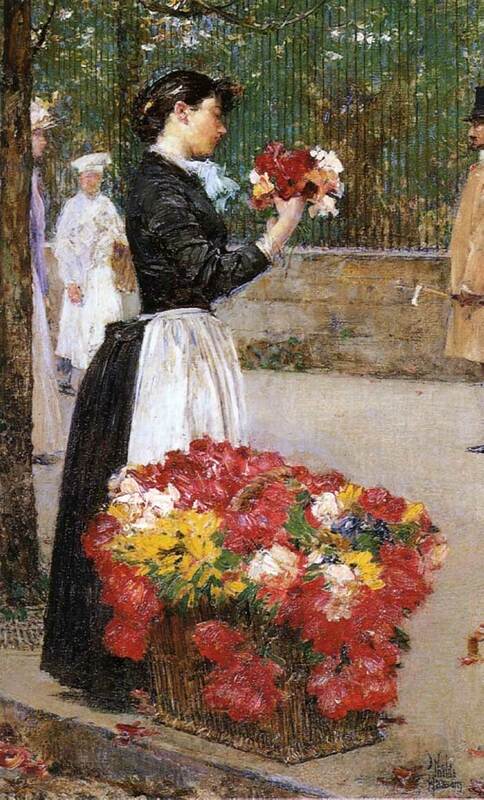 Childe Hassam (October 17, 1859 – August 27, 1935) was a brilliant American painter who had a unique impressionist style. In particular, the way he used color is inspirational. 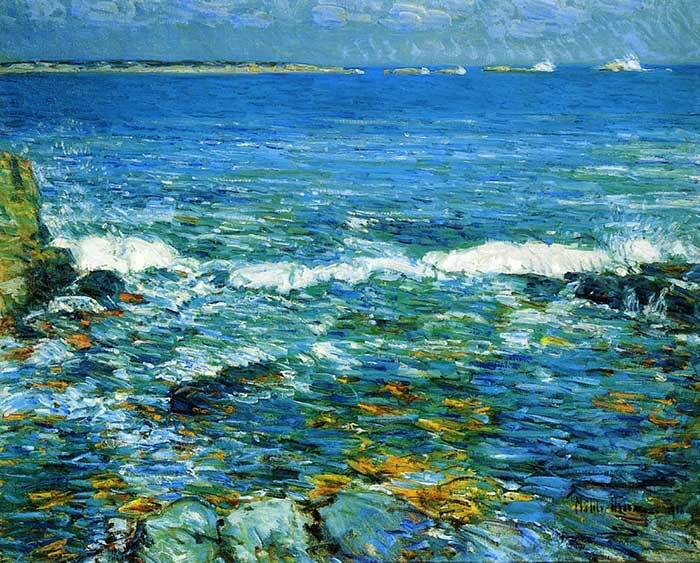 Few artists have the ability to push such rich and vivid colors without the painting appearing jarring or overdone. 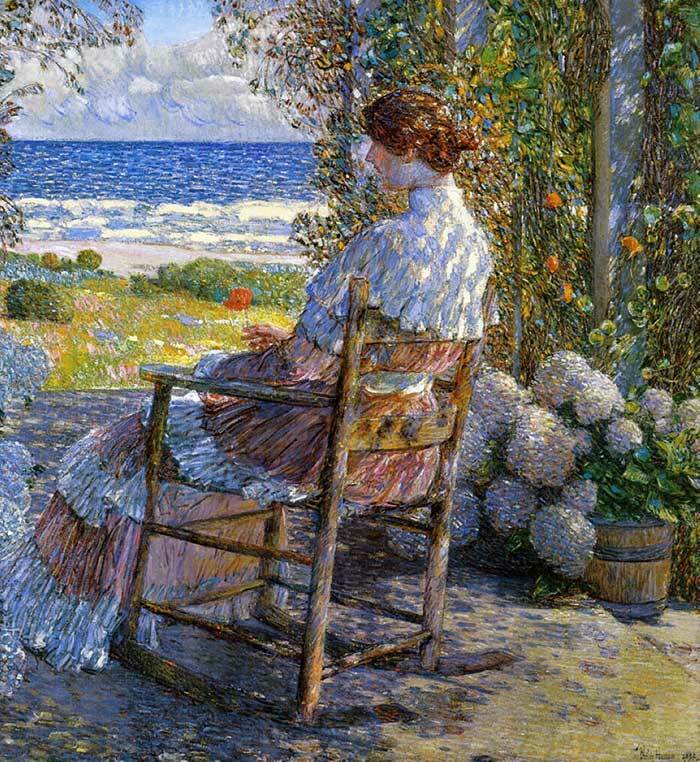 Hassam was a busy artist, producing over 3,000 paintings, etchings and lithographs over the course of his career. 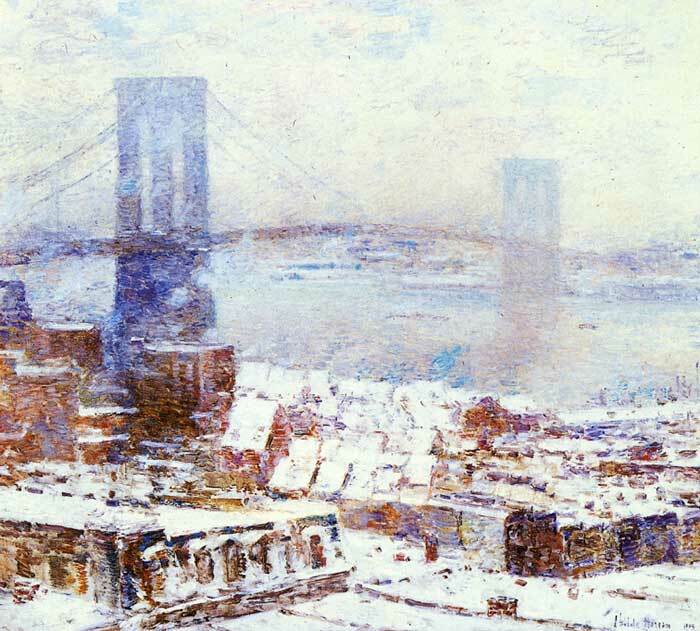 He practiced both oil and watercolor painting, though I must say I am more of a fan of his oil paintings which really demonstrate what is possible with color. 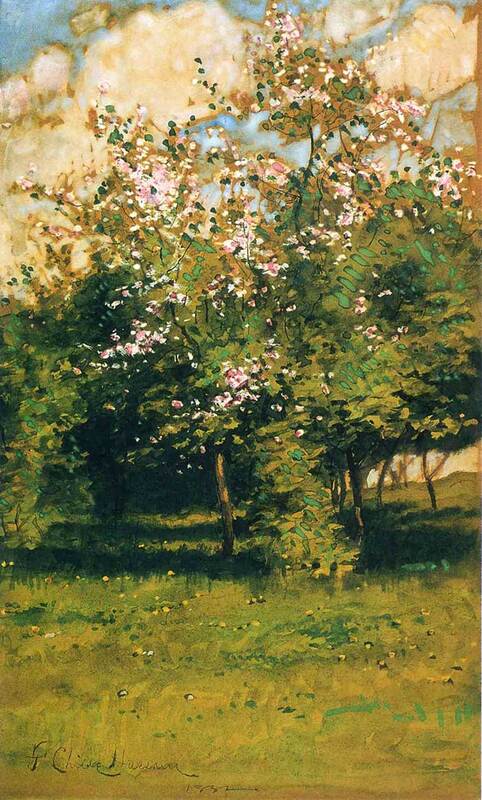 Take the painting below for example. 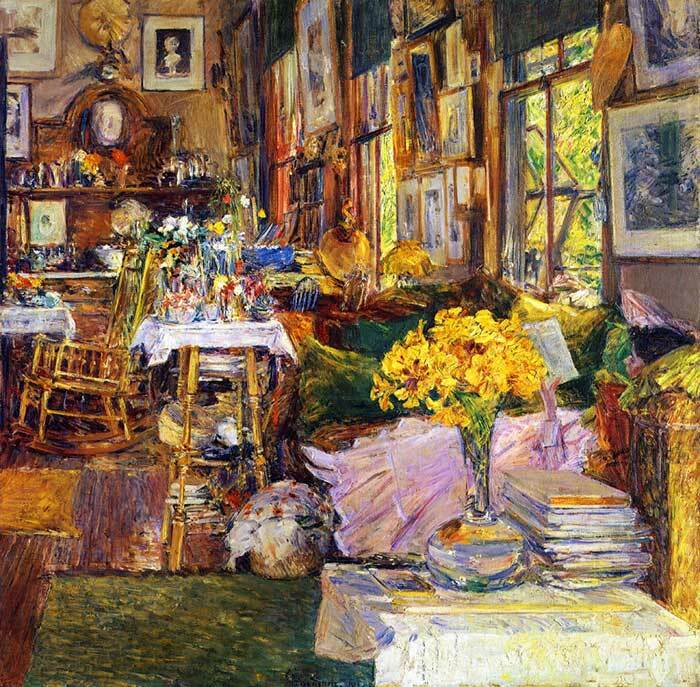 It is an incredibly busy interior scene with a vast range of colors. But it all seems to balance. 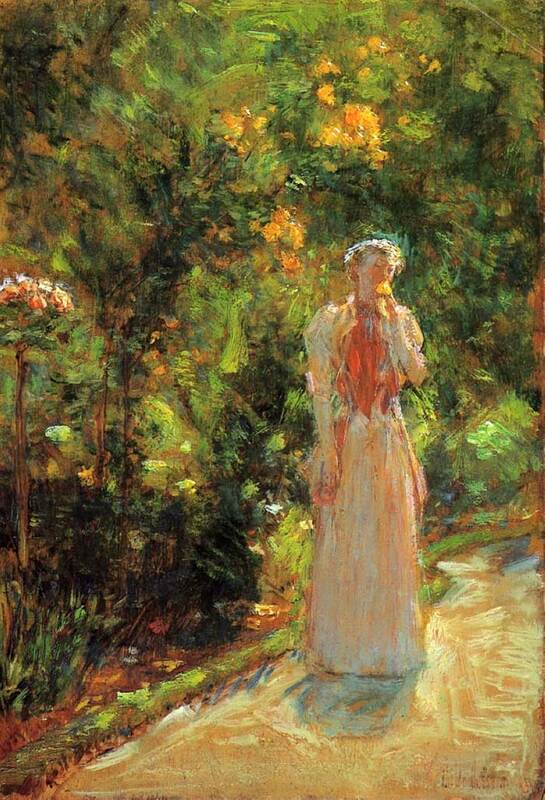 Hassam skillfully danced between muted greens, oranges, grays and smaller areas of vivid yellow and greens. 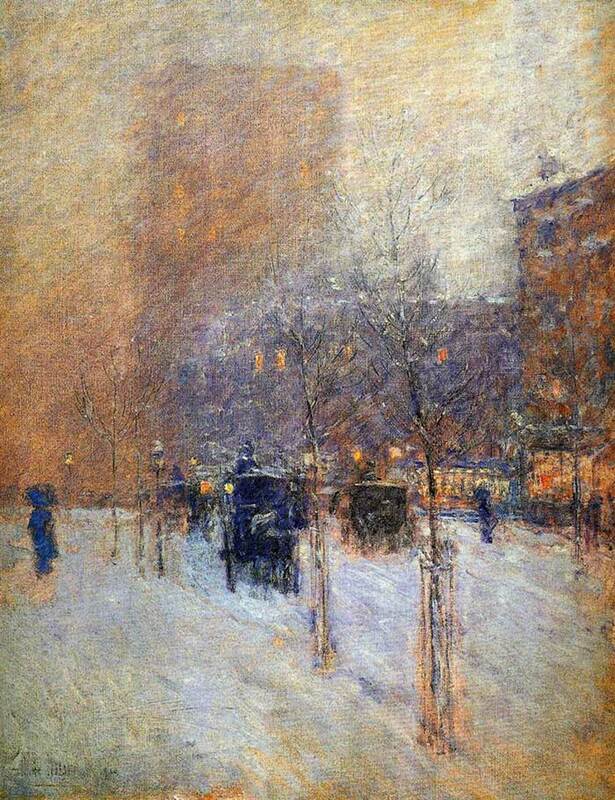 Hassam was clearly very skilled in drawing, which is partly why he was able to be so adventurous with his colors. If your drawing is not on point, then you may need to make up for it with more accurate colors. 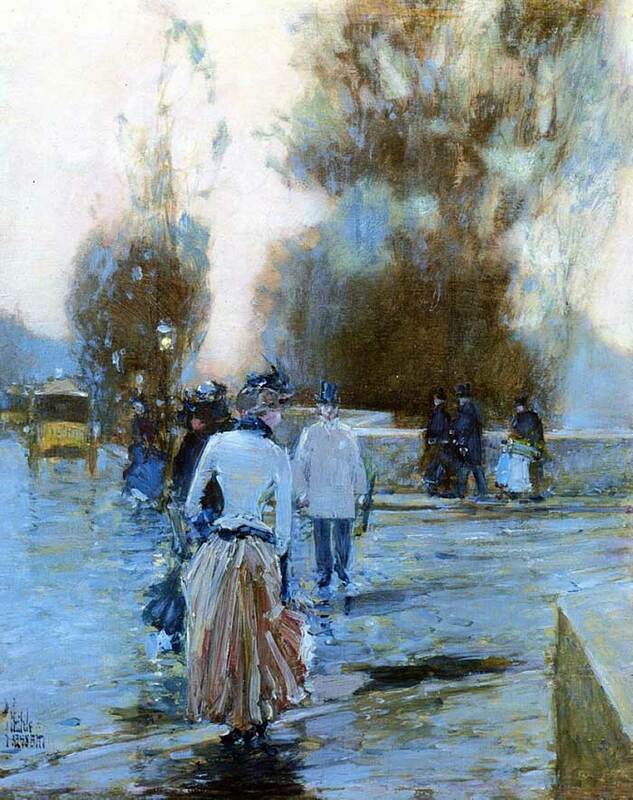 Another observation is that Hassam used accurate values in most of his paintings. 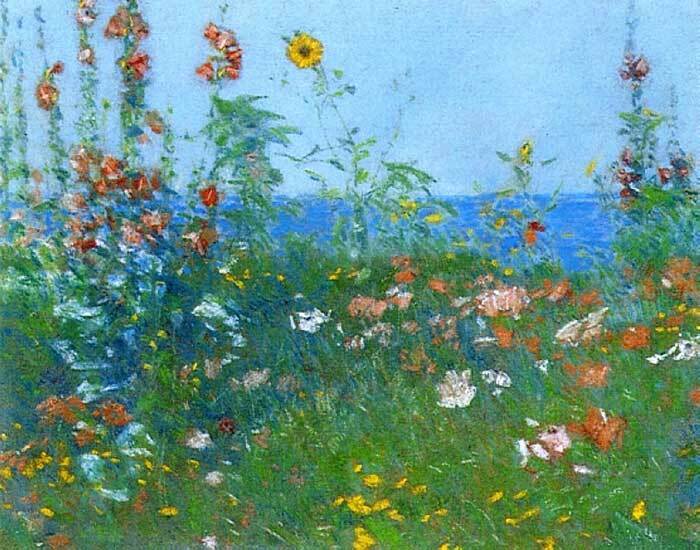 So his accurate values combined with skillful drawing meant he was able to really push the color saturation whilst retaining a quality of realism, resulting in these intricate displays of color. 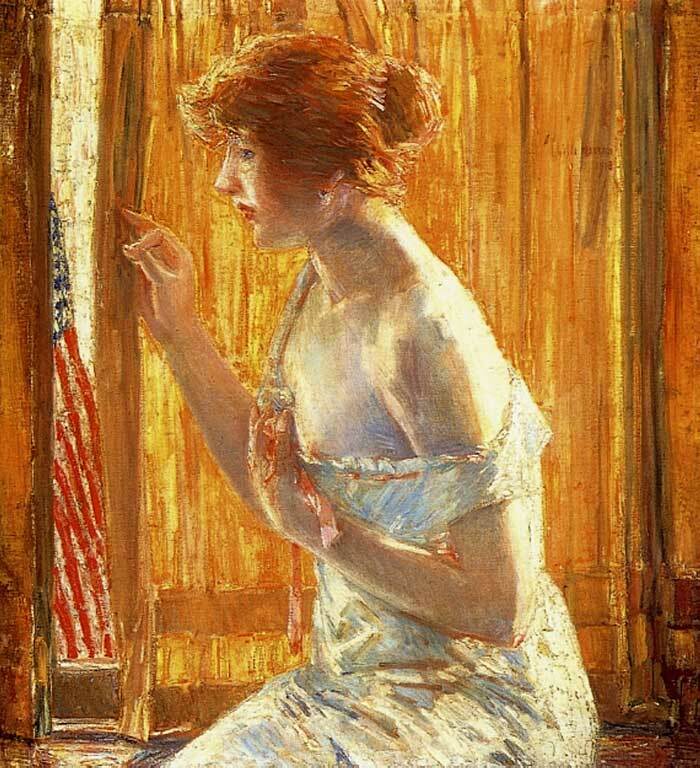 Anyway, enjoy the rest of these paintings by Childe Hassam. Let me know your favorite in the comments. 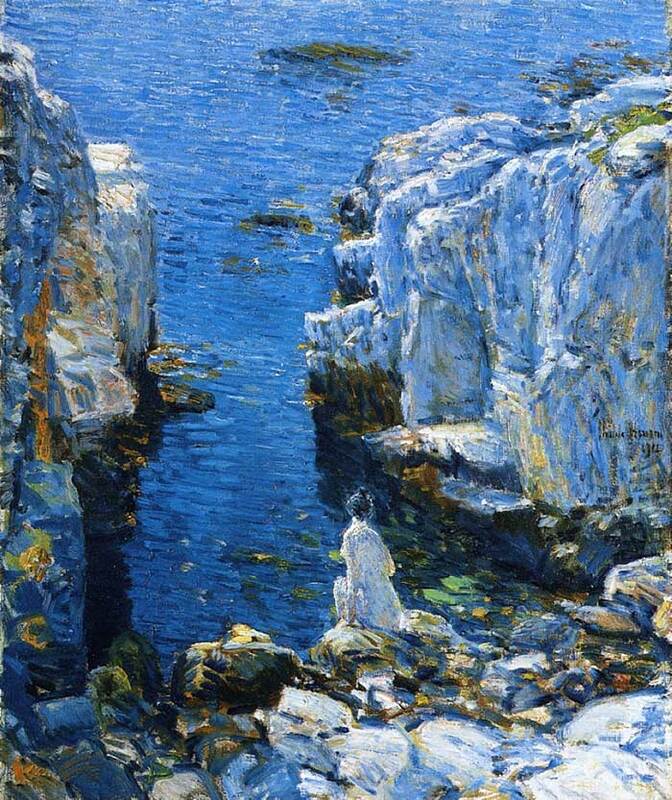 If you enjoyed this post, then this book may interest you - American Impressionist: Childe Hassam and the Isles of Shoals (affiliate link). 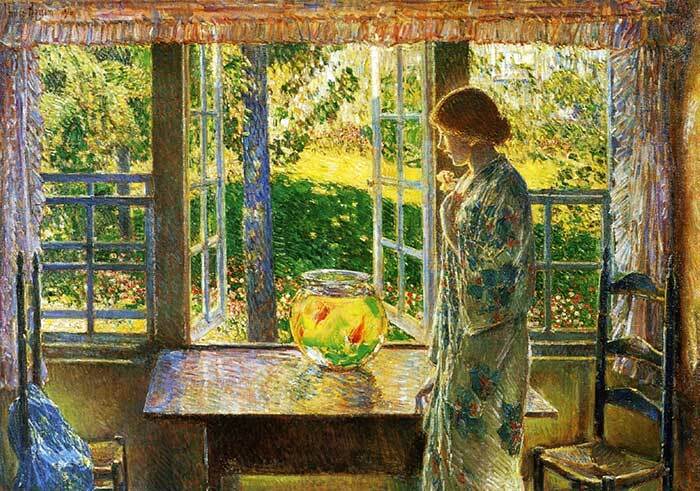 I just love the Goldfish Window. The bowl and table are a wash in beautiful reflective color. Thank you for introducing this artist, I wish I could watch the process of creating such beauty. the untitled one where the girl is in the park eating an ice cream cone caught my attention. I love the subtlety of color in all the greenery. I like the July Night. 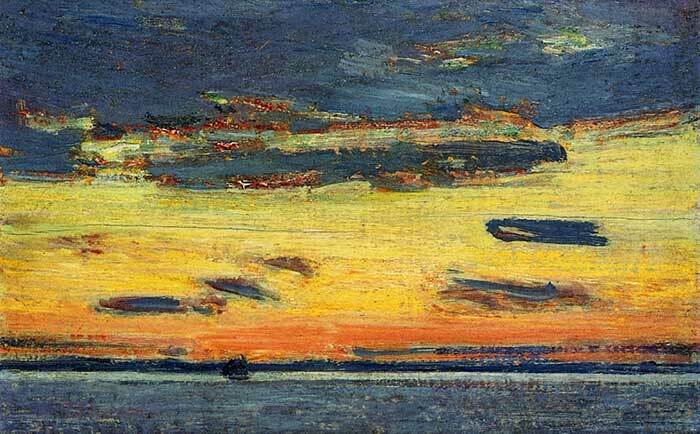 Complementary colors are balanced by an almost black achromatic silhouette. 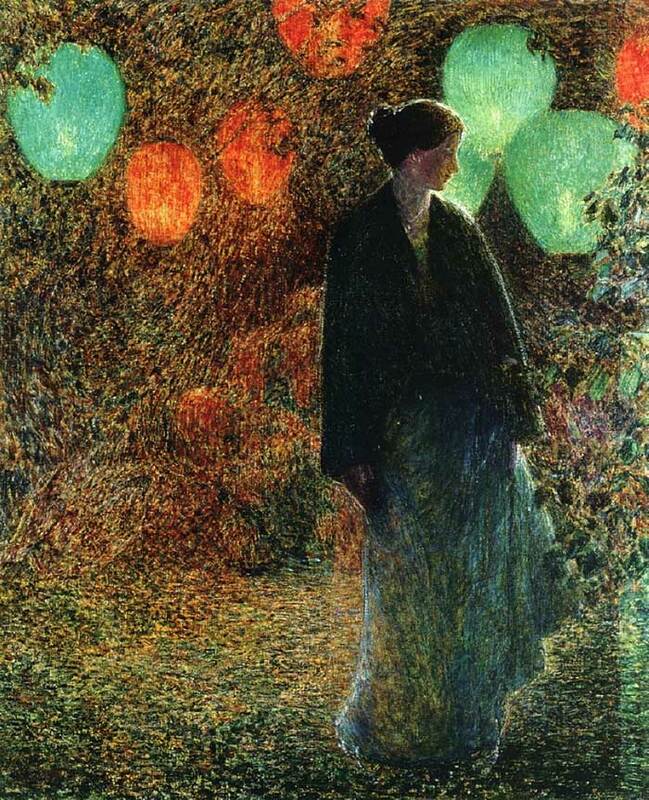 I love “July Night”.The drama created by the ‘muted’ palette offsets the colour punch created by the balloons. I’m am retired and have recently taken up painting fine art pictures. When working on a face where the skin color tone appears to be dull, how can I make the skin tone pop? What colors would I use. I am using oil and find that it is forgiving. But when I use acrylic, not so much. Thank you for your input. 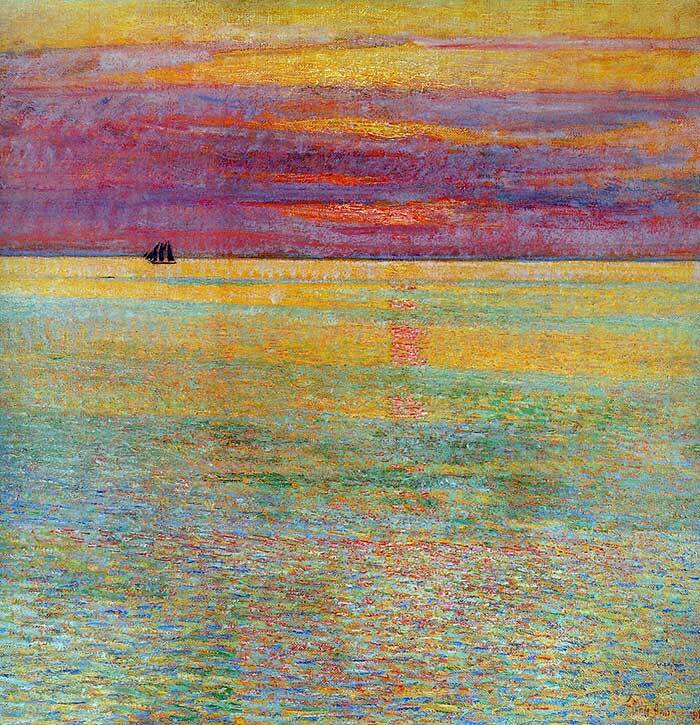 Sunset at Sea! Amazing color!!! !